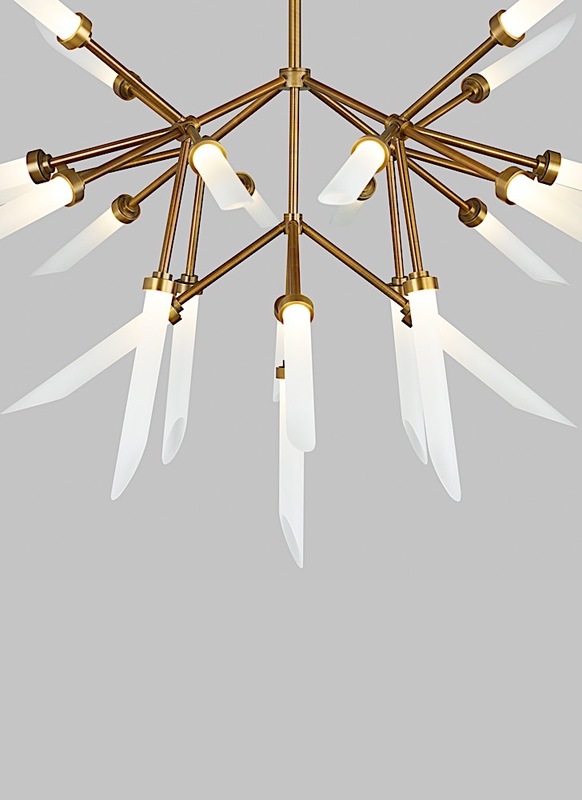 The Spur LED chandelier has five arms (regular) or nine arms (grande) each featuring a cluster of five glass spurs dramatically extending in opposing directions. The chandelier features twenty five (regular) or forty five (grande) individual frosted glass spurs which accent the LED light sources. 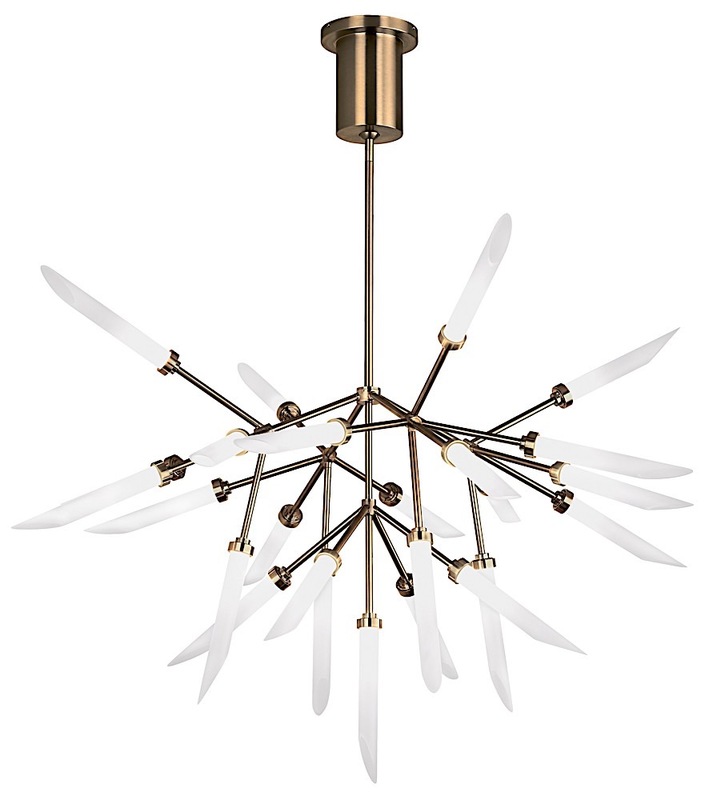 With fully dimmable LED light output, the Spur chandelier is an incredible choice for making an impactful statement as dining room lighting or any living area fixture. Select aged brass or satin nickel finish with frost glass. Select Regular or Grande size. Regular size: Includes (25) 2.6 watt, 91 delivered lumen (2285 total delivered lumens), 2700K, LED modules. Grande size: (45) 2.6 watt, 91 delivered lumen (4113 total delivered lumens), 2700K, LED modules. Fixture provided with 60" of variable rigid stems. Dimmable with low-voltage electronic dimmer.